What a great view from the second floor with long views of the lake. This 3 bedroom, 2 bath is a split bedroom floor plan as the master suite is overlooking the lake. . Stainless steel appliances, newer hot water heater, carpet and tile flooring throughout. This unit comes turnkey and is extremely clean. 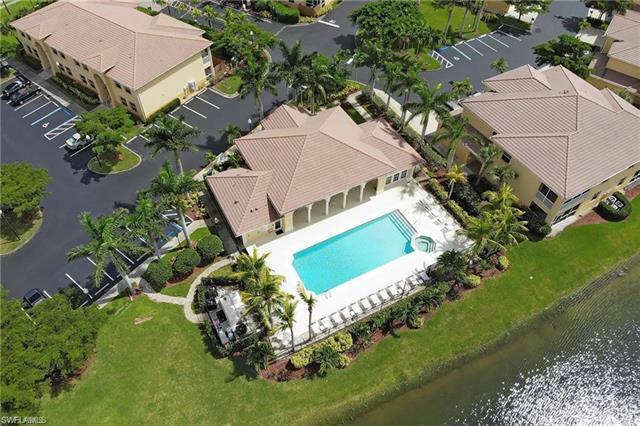 This is a great opportunity to get into a gated community that includes a clubhouse, fitness room, clubhouse pool and close to shopping for under $140, 000. This unit could be rented out in January through March for $3500 per month to cover expenses. This unit has never been rented. If you are up north and thinking about taking the plunge to buy in Florida, this is a great opportunity to, Seize The Day!